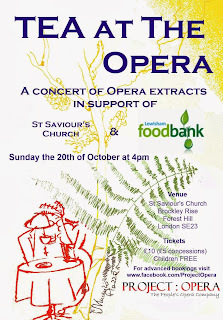 Project:Opera, The People&apos;s Opera Company brings you piano accompanied extracts from a variety of works in local venues, keeping ticket prices low and offering ideal tasters for people new to Opera and fans alike, with 50% of their proceeds going in direct support of the local community - in this case, the community of St Saviour's church and the Lewisham Food Bank. 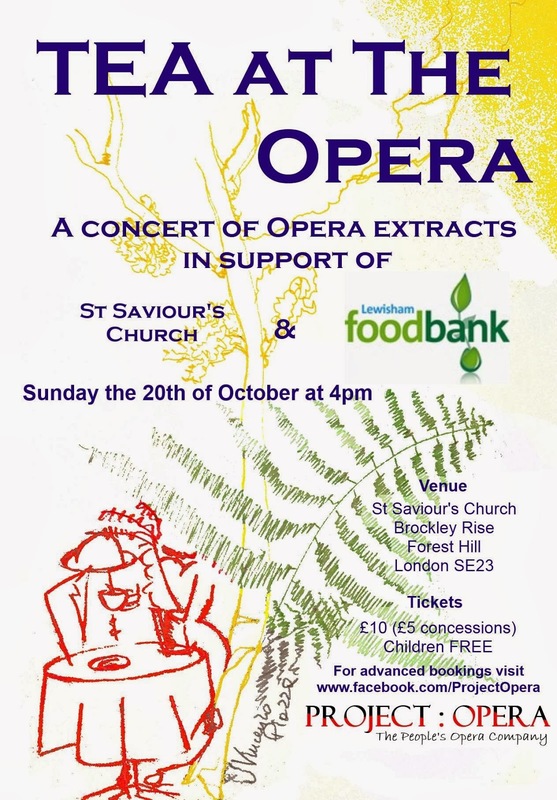 On Sunday, 20 October, they will be performing an Italian inspired program of Verdi, Puccini and Rossini, from Gilda's death scene (Rigoletto) to Rossini's hilarious Cat Duet. True to Project:Opera&apos;s style, their artists&apos; passion will make you laugh and cry, wishing you could come back and hear it all again! Tickets are available through their home-page or for on-the-day purchase. Tickets are priced at £10 for Adults, £5 for Concessions and children under 12 go free.